One of the most mysterious phrases that a high-school student can come across in his/her life is “application essay.” There are different variations of this phrase (in the UK, for instance, it is called a Letter of Intent), but in general, it requires one and the same: to introduce yourself and to demonstrate, by your style of writing, that you are good enough to be seen as one of the successful applicants. Writing such an essay is far from easy, as you need to plan your application well in advance. The following tips on how to write an application essay for university will help you get a better understanding. However, the final result strongly depends on your personal attitude and your responsibility to do the task. If you pursue a career in Humanities, then you should have an excellent style of writing. If you are interested more in natural sciences or engineering, then you should demonstrate your logical skills. There are also other differences which are not our subject here. This will provide you with a lot of time and also an opportunity to prepare your university application essay (and, of course, to improve your school grades). However, the fact that you know your needs and interests very well will not help you to write a good application essay, but this is a necessary part of the whole process. Introduction. Present yourself shortly (the place or country you were born in, your age, family environment, hobbies, etc.). Body (substantial part). Tell about your interests and achievements. For how long have you been thinking to pursue the particular career? What have you done in the past that is related to the particular study? What are your achievements, both in the particular field of study and outside it? Have you been awarded any prizes, grants, etc.? Also, this is the right place to mention about your career plans. How do you imagine yourself in 10 years from now, for instance? How can you contribute to the given university and to your field of study in general? Conclusion. Expose your positive sides in short. This part should not sound as a promise or self-boasting. Do not speak about your achievements in different paragraphs of your application essay. Otherwise, the members of the committee will dismiss you as a person who is not able to expose his/her thoughts and intentions. Don’t speak about your achievements in different paragraphs of an application essay. Otherwise, the members of the committee will dismiss you as a person who isn’t able to expose his/her thoughts and intentions. Remember that you will be asked questions concerning the contents of the application essay. Then you can improve the impression you make, but the interview can also lead to the opposite. Thus, you should prepare for both the essay and the interview. That is, documents that prove your past achievements. Never write about the prizes you have won if you do not have any proof. It is always better to speak from your own point of view. Notwithstanding, when you reach this part in which you expose your academic interests, you should sound impartial. For instance, if you would like to continue to experiment on a given topic, you should employ an appropriate terminology. 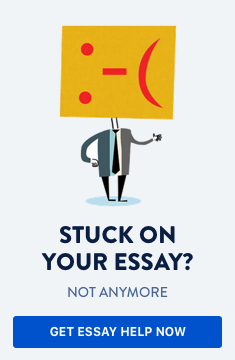 Do you need help with writing an application essay for university?